The amazing story of Hanna Reitsch, a woman who escaped the culturally defined role of wife and mother in Nazi Germany to live her passion for flying. CBI - China: Day 73 of 154 of the Japanese Invasion of Manchuria. Spain: Day 136 of 985 of the Spanish Civil War. Spain: Day 501 of 985 of the Spanish Civil War. CBI - China: Day 146 of 2,987 of the 2nd Sino-Japanese War. Spain: Day 866 of 985 of the Spanish Civil War. CBI - China: Day 511 of 2,987 of the 2nd Sino-Japanese War. Day 49 of 81 of Japan's Operation GUANGDONG. Poland: The USSR forces Soviet citizenship on all residents of Polish territory under their control. CBI - China: Day 876 of 2,987 of the 2nd Sino-Japanese War. Day 15 of 381 of the Battle of South Guangxi. ETO - UK: Day 85 of 258 of the Blitz. MTO - Albania: Greek troops capture Premeti, Pogradec and the port of Sarande. East Africa: Day 173 of 537 of Italy's East African campaign in the lands south of Egypt. CBI - China: Day 1,242 of 2,987 of the 2nd Sino-Japanese War. Day 380 of 381 of the Battle of South Guangxi. Day 5 of 6 of the Battle of Han River. CBI - Thailand: Day 60 of 221 of the Franco-Thai War (Vichy France vs Thailand). Russian Front - Finland: Day 161 of 164 of the Battle of Hanko. The Soviets will be forced off their leased naval base. Russian Front: Day 161 of 167 of Germany's Operation BARBAROSSA. Russian Front - North: Day 83 of 872 of the Siege of Leningrad. Russian Front - Center: Day 59 of 98 of the Battle of Moscow. Depleted by continuous savage fighting, blizzards and sub-zero temperatures, German Army Group Centre's offensive in Russia begins grinding to a halt. Russian Front - South: Day 31 of 248 of the Siege of Sevastopol, Crimean Peninsula. MTO - Libya: Day 234 of 256 of the Siege of Tobruk. CBI - China: Day 1,607 of 2,987 of the 2nd Sino-Japanese War. Russian Front - North: Day 448 of 872 of the Siege of Leningrad. Russian Front - North: Day 11 of 59 of the Battle of Velikiye Luki, near Leningrad. This stalemate does help ease the siege a little, but mostly it keeps German troops from being sent to other fronts. Russian Front - North: Day 209 of 658 of the Siege of the Kholm Pocket, USSR lays siege to the Kholm Pocket but the Germans hold out for a about a year and a half. Russian Front - Center: Day 6 of 21 of the Battle of Sychevka, Russia. Russian Front - Center: Day 5 of 26 of the 2nd Battle of Rzhev-Sychevka, Russia, launched by the Soviets as Operation MARS. Russian Front - Center: Day 5 of 22 of the Battle of Belyi, Russia. Russian Front - Center: Day 5 of 17 of the Battle of Luchesa (Vitebsk), Russia. Russian Front - Center: Day 5 of 29 of the Battle of Molodoi Tud River, Russia. Russian Front - South: Day 100 of 165 of the Battle of Stalingrad, bloodiest battle in human history. MTO: Prime minister Winston Churchill warns the Italian government that RAF bombing of Italian cities will continue until Italy abandons the war. MTO - Tunisia: Day 13 of 178 of the Battle of Tunisia. The British 1st Army is stalled at Djedeida. British 1st Parachute Brigade is dropped south of Tunis in a failed attempt to capture the Oudna airfield. US 9th and 12th Air Forces provide air support. CBI - China: Day 1,972 of 2,987 of the 2nd Sino-Japanese War. PTO - Alaska: Day 176 of 435 of the Battle of Kiska, Aleutian Islands. The US and Canada will defeat the Japanese invaders. PTO - Malaya: Day 284 of 357 of the Battle of Timor Island, a long guerrilla war ending in Japanese victory. PTO - New Guinea: Day 11 of 66 of the Battle of Buna-Gona. PTO - Solomon Islands: Day 115 of 187 of the Battle of Guadalcanal. ETO - Germany: US 8th Air Force B-17s bomb Bremen. ETO - Germany: Day 12 of 135 of the Battle of Berlin (RAF bombing campaign). Bochum, Cologne and Düsseldorf are attacked by 21 Mosquitos. Russian Front - North: Day 813 of 872 of the Siege of Leningrad. Russian Front - North: Day 574 of 658 of the Siege of the Kholm Pocket. USSR lays siege to the Kholm Pocket but the Germans hold out for a about a year and a half. Russian Front - South: Day 98 of 122 of the Battle of the Lower Dnieper River, USSR. MTO - Yugoslavia: US 12th Air Force B-25s bomb targets at Sarajevo. CBI - China: Day 2,337 of 2,987 of the 2nd Sino-Japanese War. Day 28 of 49 of the Battle of West Changde. PTO - New Guinea: Day 72 of 219 of the Battle of Shaggy Ridge. The Australians chase the retreating Japanese toward Wareo. PTO - New Guinea: Day 69 of 162 of the Battle of the Huon Peninsula. PTO - Solomon Islands: Day 29 of 295 of the Battle of the Bougainville Islands. ETO - France: Day 121 of 284 of the Battle of Brittany. ETO - France: Day 76 of 236 of the Siege of Dunkirk. ETO - Germany: Day 72 of 145 of the Battle of Hürtgen Forest. ETO - Germany: US 8th Air Force attacks viaducts, rail lines and oil refineries. Russian Front - Finland: Day 76 of 223 of the Lapland War. Finland and Russia have joined forces to kick the Germans out of Finland's most northern province. Russian Front - Center: Day 46 of 206 of the Battle of the Courland Pocket in Latvia. Russian Front - Center: Day 39 of 99 of the Siege of Memel, a border town of Lithuania and East Prussia. Russian Front - South: Day 32 of 108 of the Battle of Budapest, Hungary. Russian troops cross the Danube in southwest Hungary, making large gains. CBI - Burma: Day 243 of 302 of the Chinese Salween Offensive. CBI - Burma: Day 16 of 31 of the Battle of Bhamo. CBI - China: Day 2,703 of 2,987 of the 2nd Sino-Japanese War. Day 227 of 259 of Japan's Operation ICHI-GO. PTO - New Guinea: Day 338 of 597 of the Battle of New Britain. PTO - New Guinea: Day 222 of 481 of the Battle of Western New Guinea. PTO - Philippines: Day 41 of 299 of the 2nd Battle of the Philippines, aka the Liberation of the Philippines or the Philippines Campaign. PTO - Philippines: Day 41 of 73 of the Battle of Leyte. PTO - Philippines: Day 19 of 41 of the Naval Battle of Ormoc Bay. 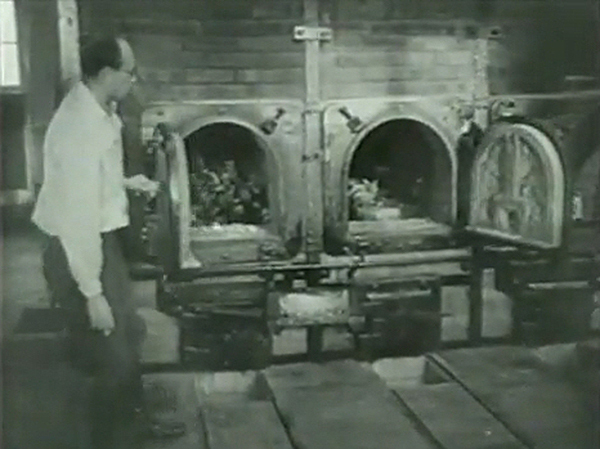 Germany: Films of concentration camp atrocities are shown at the Nuremberg trials. General Eisenhower made a decision to personally visit as many Nazi concentration camps as he could to document the camps and their appalling conditions. Anticipating a time when Nazi atrocities might be denied, Eisenhower also ordered the filming and photographing of camps as they were liberated. Members of the US Army Signal Corps recorded approximately 80,000 feet of moving film, together with still photographs. Within months after the war in Europe was over, about 6,000 feet of that film footage was excerpted to create a one-hour documentary called "Nazi Concentration Camps." 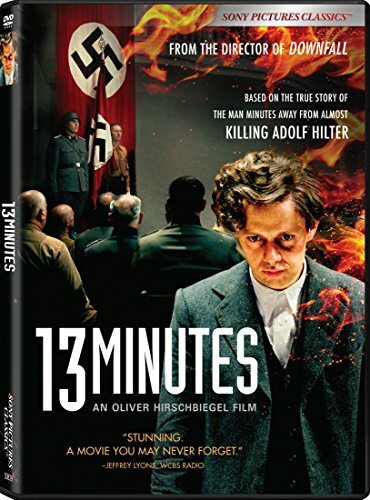 Prosecutors used the film, which is graphically gruesome, to prove that Nazi leaders, on trial at Nuremberg, had perpetrated unbelievably heinous crimes against humanity.